The ideal accompaniment to the Mercedes AMG GT. Mercedes-AMG and MV Agusta are strengthening their partnership ties with a jointly designed show bike. 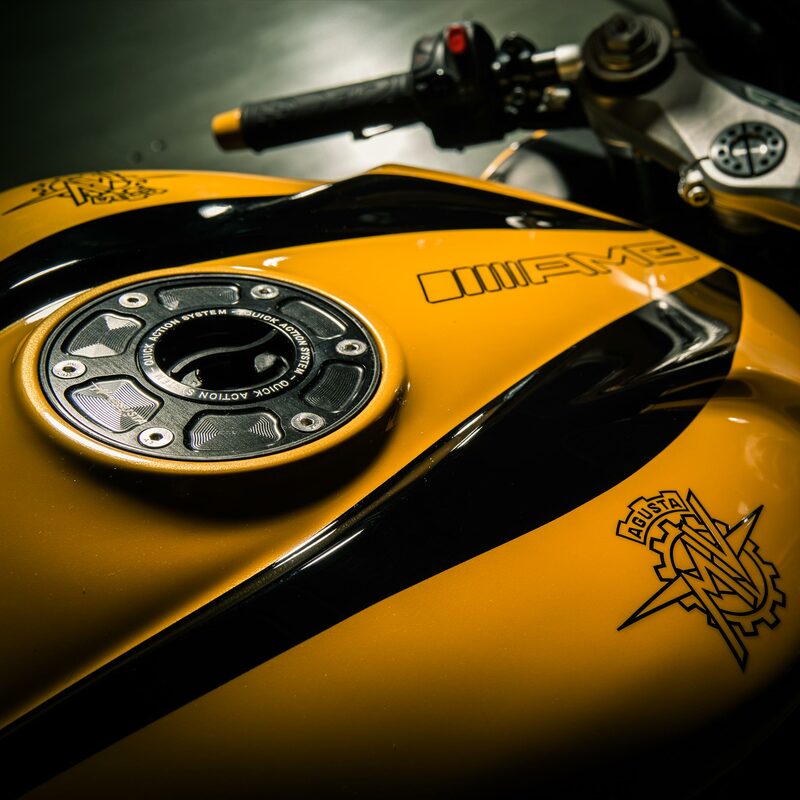 The spectacular MV Agusta F3 800 is painted in the exclusive colour ‘AMG solarbeam’ and as such adopts the colour concept of the Mercedes-AMG GT. 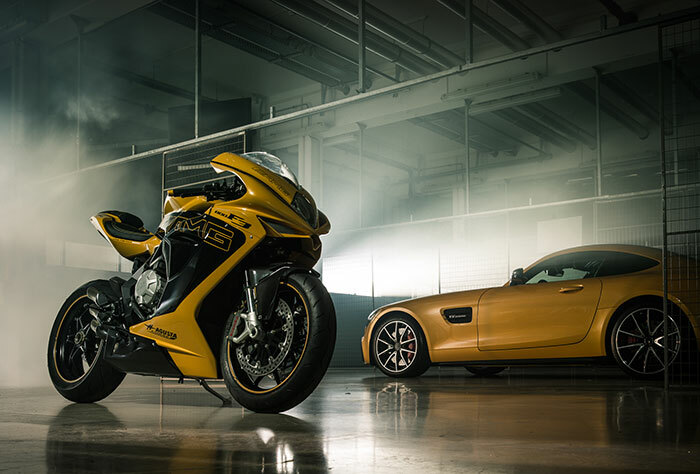 The stuff of performance enthusiasts’ dreams: a thoroughbred sports car and high-quality sports bike featuring a complementary look. 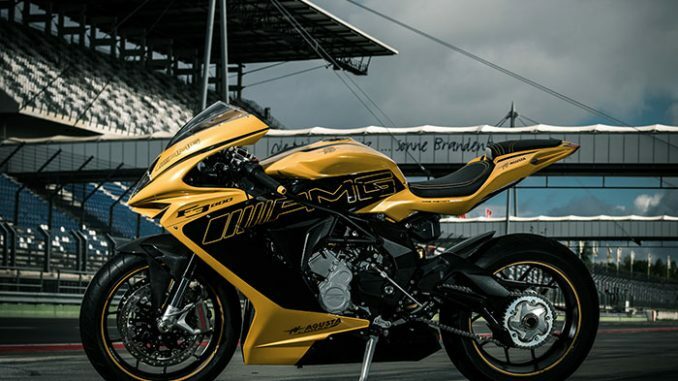 Mercedes-AMG and MV Agusta have made this dream come true by presenting a highly dynamic pairing at the 2015 IAA International Motor Show in Frankfurt. 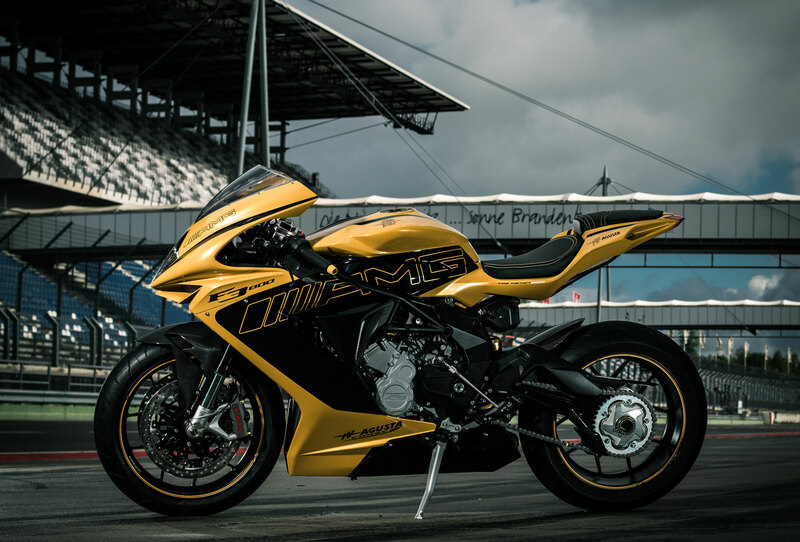 Alongside the Mercedes-AMG GT, the MV Agusta F3 800 show bike gleams in an identical look – in the exclusive AMG paint finish ‘solarbeam’. This aesthetically and technically impressive vision of the matching look on two and four wheels visualises the passion which the two brands have for motorsports and for combining aspects of technology, performance and design to achieve perfection. 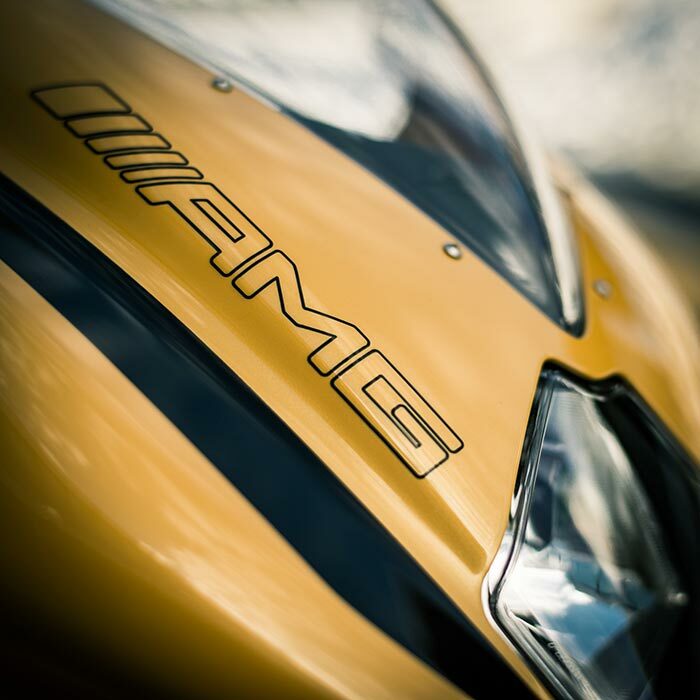 To this effect, the partnership between Mercedes-AMG and MV Agusta is set to continue after the IAA show in Frankfurt under the joint brand claim ‘Beyond Adrenaline’. Black wheels, further black highlights and the AMG logo on the sides of the trim equally underscore the close ties with the sports car and performance brand of Mercedes-Benz. 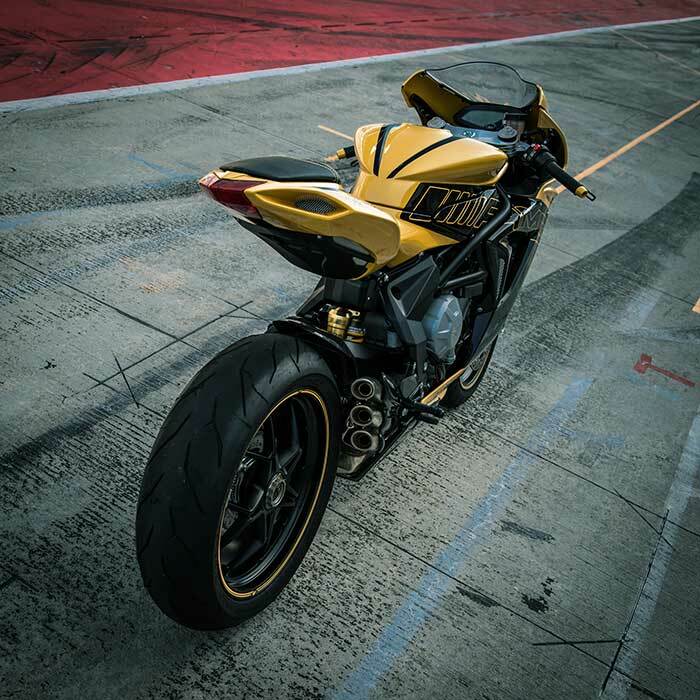 In technical terms, the MV Agusta F3 800 ‘inspired by AMG GT’ corresponds to the series production model: the three-litre in-line engine generates an output of 108.8 kW (148 hp) from a displacement of 798 cc. The high-performance bike can be individually tuned to different driving conditions with the aid of four engine maps and eight-stage traction control. 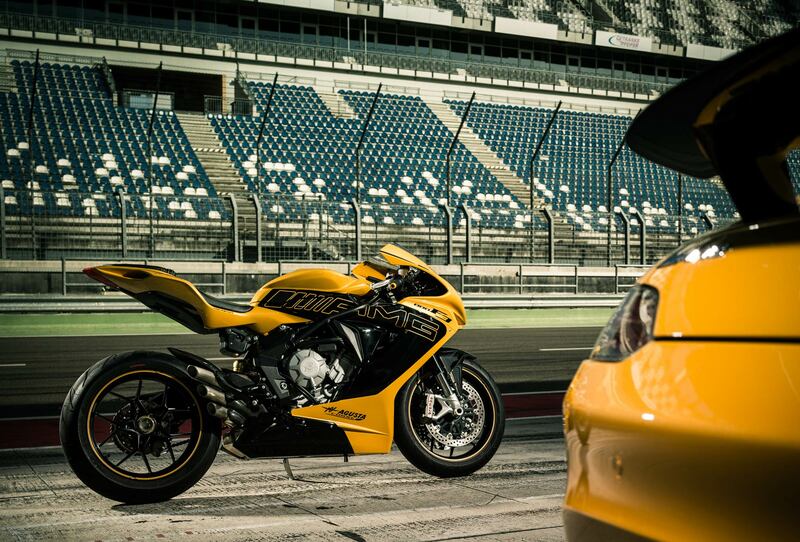 The sports bike and sports car therefore also share common ground in terms of their technological approaches. In the case of the Mercedes-AMG GT, the driver has access to five transmission modes as well as additional individual adjustment parameters for the suspension, exhaust system or even the ESP® system.